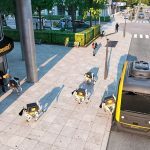 Renault has introduced the world its latest concept at Hannover Motor Show, Renault EZ-PRO Autonomous Urban Delivery Robo-Vehicle. 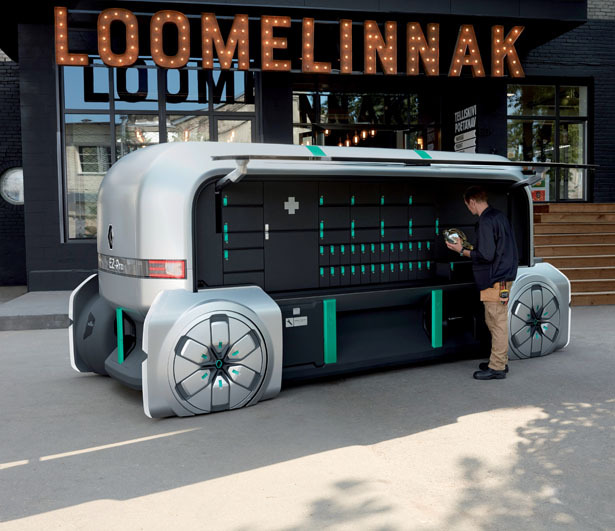 It’s a concept electric, fully connected, and shared robo-pod concept that offers agile, last-mile delivery solutions for professional merchants. 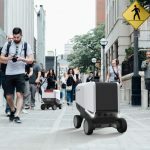 In the fast E-commerce growth, the problem can rise where consumers want immediate delivery while retailers want to manage delivery costs, and cities just want to find a new way to reduce traffic congestion. 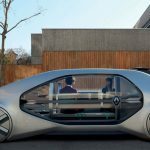 Renault EZ-Pro is a concept based on an autonomous leader pod and driverless robo-pods. 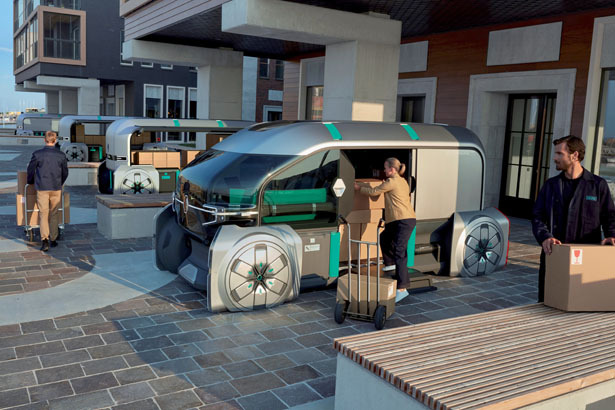 The company believes that management of last-mile delivery will not be completely automated as people will stay at the core of transport activities for the foreseeable future. 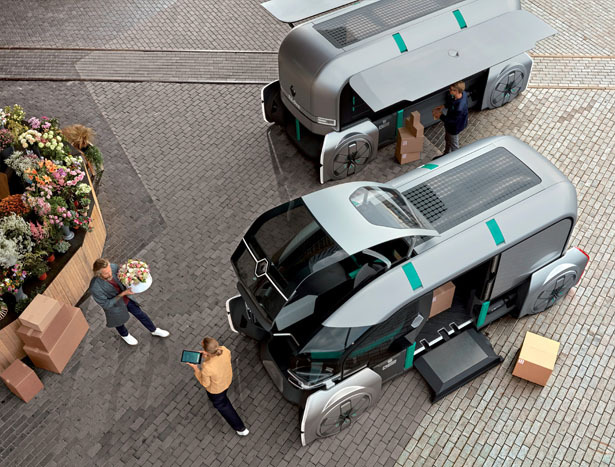 The leader pod of EZ-PRO hosts a human operator who supervises delivery of goods and services and its fleet. 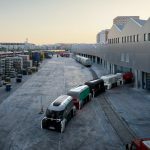 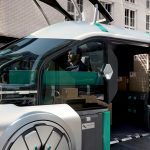 Drivers are released from constraints of driving, they can focus more on value-added tasks such as supervising the itinerary planning and those driverless robo-pods. 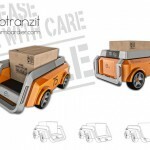 In spirit of Renault “Easy Life” motto, EZ-PRO aims to offer a safe and ergonomic solution for the concierge. 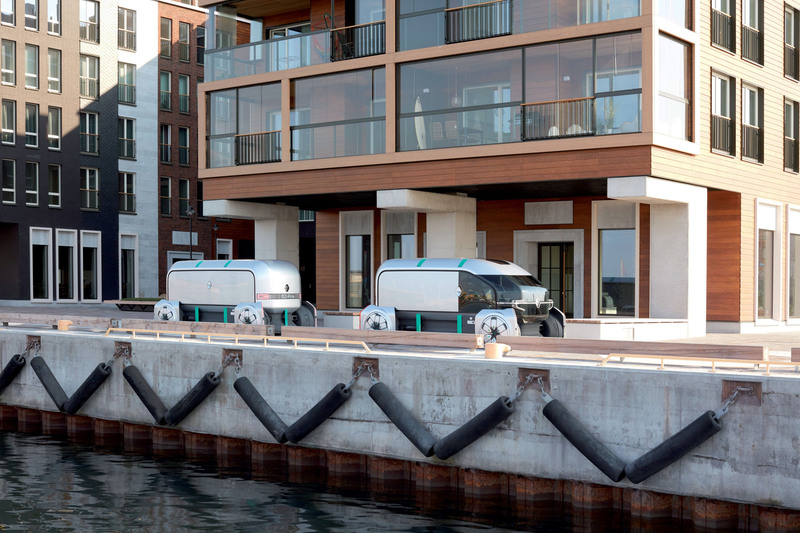 The cabin has joystick controller and easy-to-maneuver four-wheel steering feature. 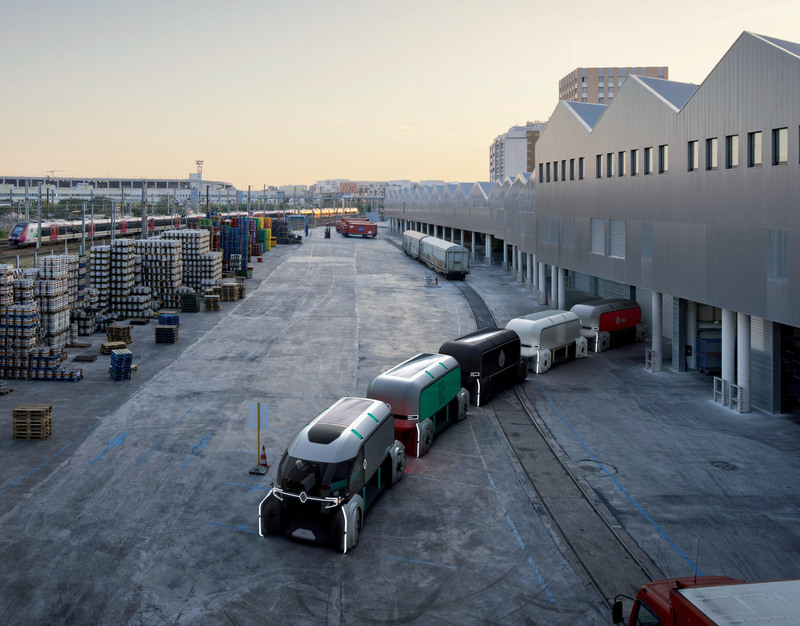 These driverless robo-pods would follow each other or by platooning or move independently. 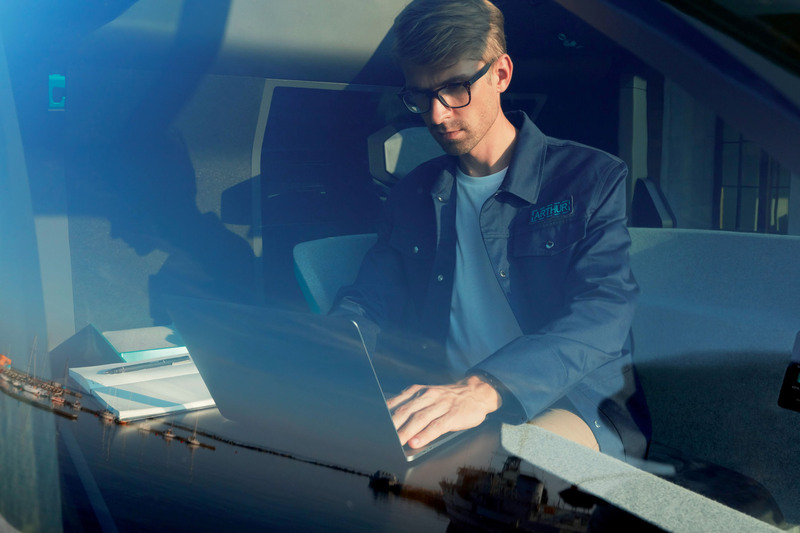 Just like Renault promises, tailor-mode is the strength of this concept, each module is customizable to meet specific business customer needs. 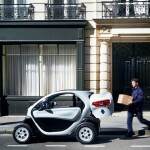 Renault EZ-PRO is also a shared solution. 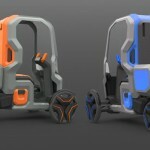 A set of pods can leave the same hub and managed by the same operator yet each one can carry different type of goods and merchandise. 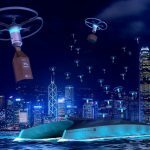 Each pod can have its own theme, clientele, or delivery place, yet, this set of pods can be operated by the same electric and autonomous platform. 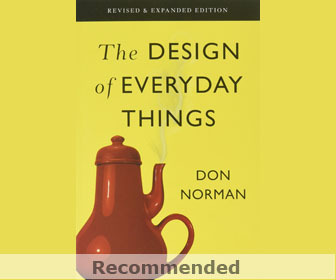 This shared scenarios help to optimize productivity and save costs. 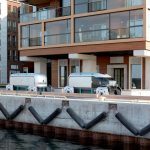 The design of EZ-PRO focuses on minimizing its visual impact but enhance the pod’s integration onto the urban landscape. 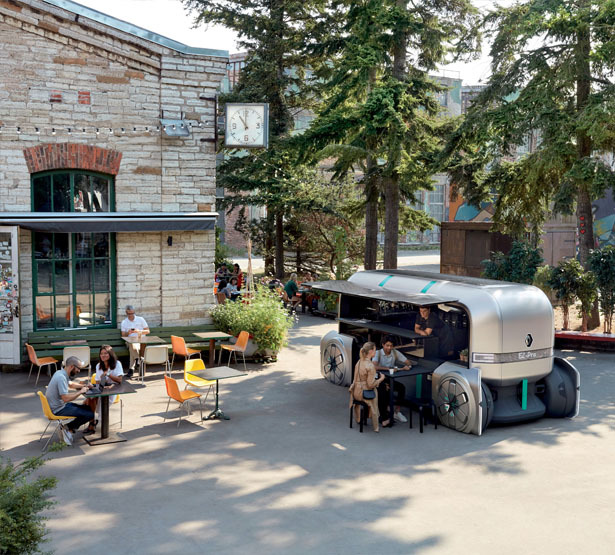 That satin finish bodywork, wheel fairings, and glossy appearance of opening panels and reflective properties make these pods unobtrusive in cityscape. 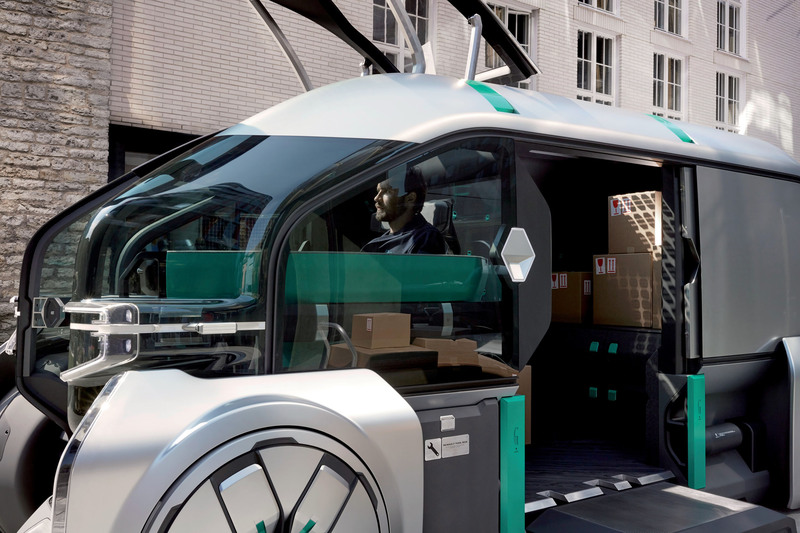 Thanks to shared shipping delivery system, this vehicle is hoped to reduce traffic in cities. 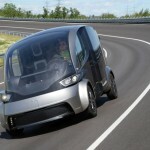 It’s also 100% electric to contribute to greener and quieter transport system. 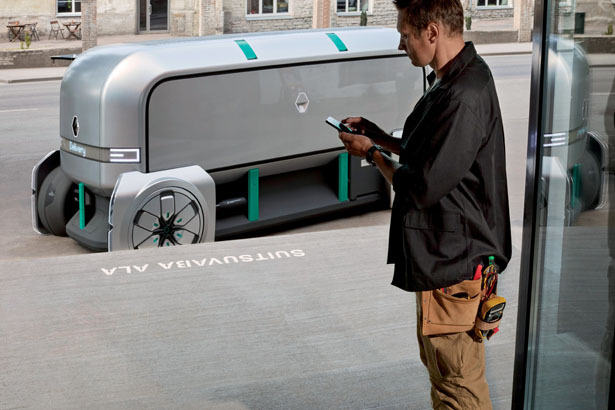 Tagged as future urban delivery transport, futuristic delivery vehicle, renault delivery pods concept.